What is better than listening to the heart warming/wrenching songs by Mumford & Sons? It is watching their music video while trying to stop the tear from dropping from your eyes. The band has been a companion by many a romantic out there, and I am just one of them. For a Mr. Feels like me, I am easily affected by any external stimulus: music, movies and sceneries make me tear up without prior notice. And because of that I've been using the "I have dust in my eyes" excuse so that people wouldn't notice. If there's one thing that touched me today that is the new music video released by the said band. 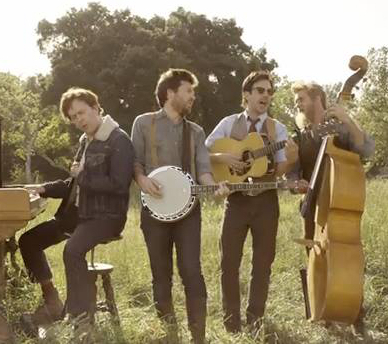 Watch the new music video for Hopeless Wanderer by Mumford & Sons. Another lovely thing about the music video is the almost hippie feel to it and I really appreciate the wondrous and simplistic nature featured in the video. It adds more to the nostalgia and emotion that are building within me. The song talks about a new start, which is especially telling my life story.